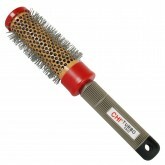 Makes accuracy easy. 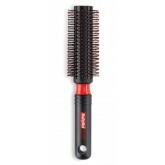 Perfect for tapering or for creating flat top styles. 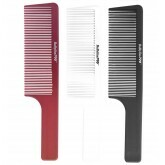 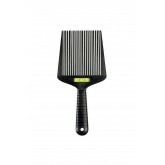 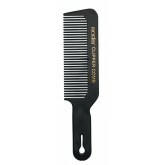 Clipper glides smoothly over the flat-tooth comb, without chattering or rippling. 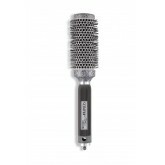 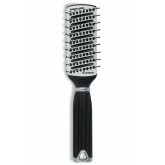 Ideal for styling tender scalps or fine hair styles. 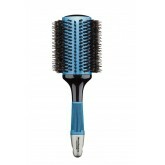 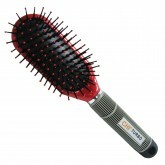 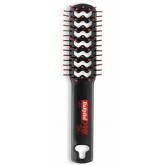 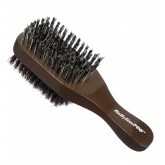 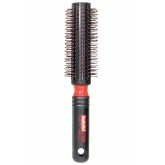 Vent brush with a ceramic base and grooved rubberized handle. 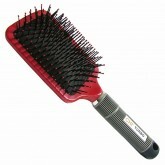 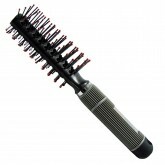 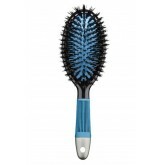 Large skeleton brush with ball-tipped nylon bristles and a wide, textured, plastic handle. 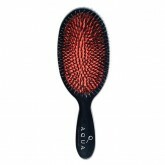 Small circular brush with plastic texturized handle. 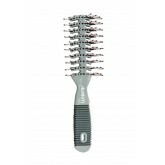 Nylon bristles with ball tips.